Space Dragons Dragon Boat Racing Team: Happy Hour - Bowling!! - RSVP please!! Happy Hour - Bowling!! - RSVP please!! Let's try something different after work...so now the kiddies and those from south of Long Beach can join us for Happy Hour!! Not to mention celebrating our excellent showing at the LB tourny!! Cost: ~ $20 for 2 hrs of bowling, shoe rental, pizza and soda! What: Bowling! But what if you think you're horrible?? 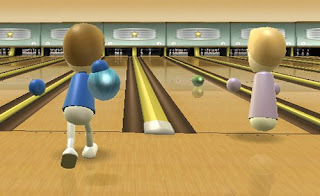 No worries, there's "Low Score" bowling, too - try to get the lowest score w/ the bumpers raised!. I reserved a couple lanes, so get up to about 6 people per lane to start playing. Cost per lane is $79.99 + tax, to be divided amongst those in your lane! Try to get 5-6 to stay under $20. Mark your calendars and see you there on Wednesday after the LB Tournament! !